I didn't watch much TV as a kid, but I never missed "Broken Arrow," the kind of sappy but idealistic show about an Indian agent "and his blood brother, Cochise." My sister was in love with Gardner McKay from "Adventures in Paradise." I was a horse lover, so I never missed "Fury" or "My Friend Flicka." When I was a teenager, I liked "Dobie Gillis." 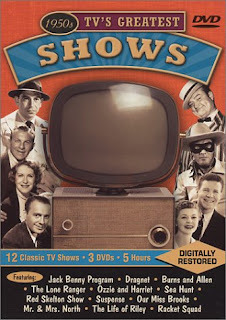 As a family, we occasionally watched "Red Skelton" and the quiz shows like "To Tell the Truth" and "I've Got a Secret." I have a feeling that if we watched some of these shows today, we would realize how truly bad some of them were. Others would still entertain and delight us.